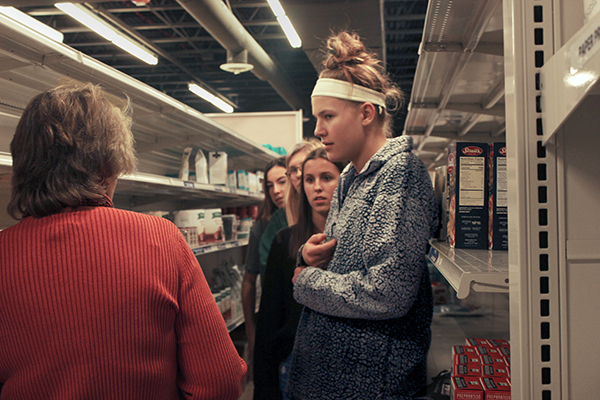 South Souperheroes: Visiting the Northfield Food Pantry, senior Kate Gregory, student body president, listens to a pantry representative to gauge their food supply levels. The Northfield Food Pantry serves 700 families. South’s annual Canned Food Drive began this week with donations given to the Northfield Township Food Pantry, which serves almost 700 families, according to Jill Brickman, supervisor of the Northfield Township Food Pantry. Student Council runs the food drive by splitting into eight separate committees to work on different tasks, senior Annika Newell, an appointed representative on Student Council, says. The committees are led by upperclassmen and every member of Student Council is appointed to one, Newell says. The Canned Food Drive has undergone significant changes in past years, such as the elimination of an official goal of 100,000-plus cans, Newell says. Instead, Student Council is now focusing on a point system. Kate Gregory, student body president, explained that students can receive three points for bringing in a can that is in high demand, which is determined by the pantry, two for bringing in a can that is less in need, and one for any other cans that are brought in. The point system provides the pantry with more food that is in high demand, Gregory says. The point system also creates valuable competition as it motivates the student body to participate in the Canned Food Drive as different clubs and grade levels can compete with each other by bringing in the most amount of cans, Gregory says. Josh Koo, assistant principal of student activities, believes that contributing to service projects, such as the Canned Food Drive, is a way for students to realize that the world is bigger than themselves. 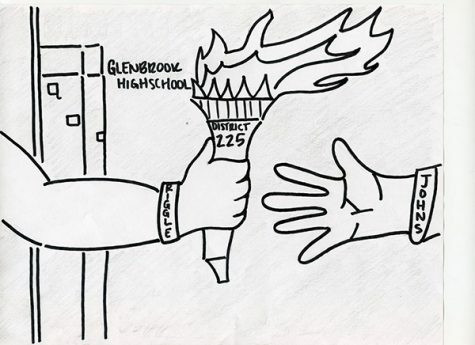 Brickman says that there is a common misconception that the Glenview community lacks people in need, which she believes affects participation in the drive. 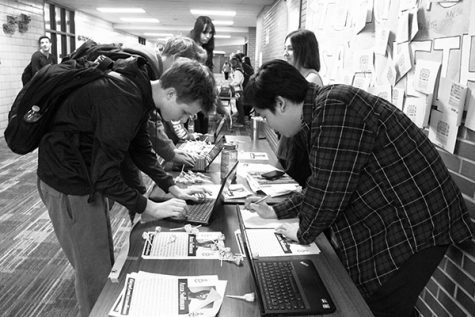 Koo says that Glenview’s reputation affects community member’s attitudes towards people in need, and that charitable events, like the Canned Food Drive, can alter such attitudes. “We come from a very privileged community, and someone who has privilege can do one of three things,” Koo said. 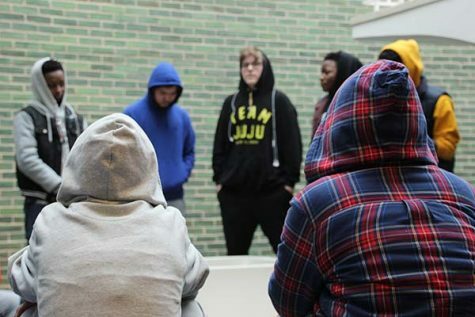 “You can ignore your privilege, you can feel guilty about your privilege, or you can use it to benefit others, and that’s what we’re trying to focus on.” Student Council members are not the only people able to get involved in the drive, Koo says. Students interested in helping out with the Canned Food Drive may go to the Student Activities Office and ask about volunteering. “Current students, former students, families, anybody in Glenview, let’s open our hearts,” Koo said.